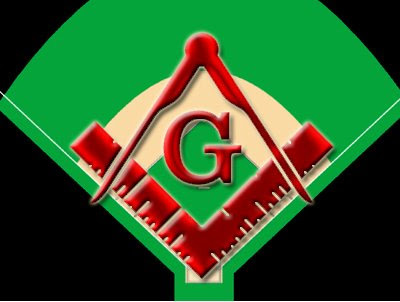 The Konformist Blog: Baseball : The Masonic Sport? Appropriately called “America’s Pastime”, baseball is less a sport than it is a ritual. It is slow paced, the players are immobile most of the time, standing on geometric shapes. The philosopher Morris Raphael Cohen described baseball as a national religion.Almost all ancient civilizations had some sort of ritualistic sporting events that mixed athletic prowess and religious beliefs. 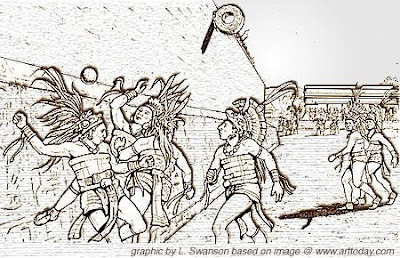 The Mayan’s ball game, which resembled somewhat our basketball. The goal was to get the ball through one of the rings situated about 20 feet above the players without the use of hands. This game was a solemn experience, filled with ritual importance. Religious leaders attended, as did most chieftains and other government leaders. Sacred songs were sung and the games usually finished with a human sacrifice. The ball, the shape of the court and the rings all had important meanings in Mayan beliefs. 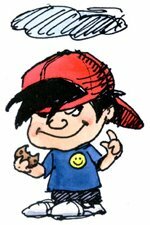 Playing ball engaged one in the maintenance of the cosmic order of the universe and the ritual regeneration of life. It was a game of chance, skill and trickery reflecting life. The team effort engaged individuals in shared behaviour and culture, introducing, reinforcing and reinventing the game of life and peoples’ place in the cosmic order. Are we that different from the Mayas, the Greeks, the Romans and almost all other civilizations? Well, the Freemasons, the most prominent society in America, are IMMENSELY inspired by ancient cultures like the Egyptians, Babylonians and Phoenicians. They study their rituals, their mythology and their forgotten knowledge of mathematics, geometry and astrology. Is it possible that the Masons devised their own “ritual” game which celebrates their sacred symbols? American Freemasonry’s history goes back as far as American History… in some ways they are parallel. George Washington was the Grand Master of a Lodge, and there were even actions taken to create the rank of Grand Master of the whole of the United States for him. According to the Grand Lodge of Texas, “On September 18, 1783, President George Washington dressed in his Masonic apron, leveled the cornerstone of the United States Capitol with the traditional Masonic ceremony.” If you’ve watched, the documentary “Riddles in Stone” (available for free on this site), you’ve learned that masonic and occult symbols appear prominently all over Washington DC. The White House is situated at the tip of a large compass created by Vermont Avenue and Connecticut Avenue as they lead north. Of course, the emblem of Freemasonry is a compass overlapping a square (the tool). Masonic geometry and numerology (the sacred numbers) are appear on the streets as it appears on the field. 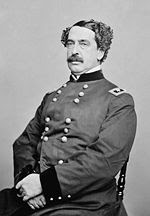 The invention of baseball is usually credited to Abner Doubleday in 1870. Doubleday was a United States Army officer and Union general in the American Civil War. After he retired, he became a prominent member of the Theosophical Society, an organization that researches the esoteric and the occult. There is no doubt that he had extensive knowledge of occult symbols, sacred geometry and numerology. While almost all sports are played on rectangular fields or rinks, baseball is played on a peculiar shaped field which contains figures considered “sacred geometry” in masonic teachings. The field bears an astonishing resemblance to the Square and Compass of Freemasonry. The field, from home plate to the left and right field wall forms a compass; the entire outfield wall is the semicircle which this compass draws. Upside-down, overlapping this compass, the bases form the square. Thus, the baseball field is the emblem of Freemasonry. The square and compasses are the oldest, the simplest, and the most universal symbols of masonry. All the world over, whether as a sign on a building, or a badge worn by a Brother, even the profane know them to be emblems of our ancient Craft. Some Years ago, when a business firm tried to adopt the square and compasses as a trademark, the [USA] Patent Office refused permission, on the ground, as the decision said, that “there can be no doubt that this device, so commonly worn and employed by masons, has an established mystic significance, universally recognized as existing; whether comprehended by all or not, is not material to this issue.” They belong to such, alike by the associations of history and the tongue of common report. In Freemasonry, nine derives its value from its being the product of three multiplied into itself, and consequently in Masonic language the number nine is always denoted by the expression three times three. For a similar reason, 27, which is 3 times 9, and 81, which is 9 times 9, are esteemed ax sacred numbers in the advanced Degrees. So, 0+9=9, 1+8=9, 2+7=9 and so on. Look at the bar I’ve placed between 45 and 54. Numbers on each side of this bar form a mirror image. For all those reasons, 9 and its multiplesare considered sacred.